Our mentors are friendly, experienced Scala developers who will help teach you new techniques and tricks. Join thousands of students who have enjoyed learning and improving their skills by taking this track. Hundreds of hours have gone into making these exercises fun, useful, and challenging to help you enjoy learning. def hello() = "Hello, World!" JVM Interoperability - Scala runs on the JVM, so Java and Scala stacks can be mixed for seamless integration. Type Inference - Scala is statically typed. However, Scala provides type inference to ease the burden of an advanced type system. Object Oriented - Scala is a pure object-oriented language in the sense that every value is an object. Data types and behaviors of objects are described by classes and traits. Class abstractions are extended by subclassing and by a flexible mixin-based composition mechanism to avoid the problems of multiple inheritance. Functional - Scala is also a functional language in the sense that every function is a value. Scala provides a lightweight syntax for defining anonymous functions, it supports higher-order functions, it allows functions to be nested, and supports currying. Scala’s case classes and its built-in support for pattern matching model algebraic types used in many functional programming languages. Singleton objects provide a convenient way to group functions that aren’t members of a class. Concurrency & Distribution - Use data-parallel operations on collections, use actors for concurrency and distribution, or futures for asynchronous programming. The reviews are incredibly helpful because they help me see things that I missed, learn about new ways and sometimes interesting discussions that can add a fun twist to maybe a simple problem. 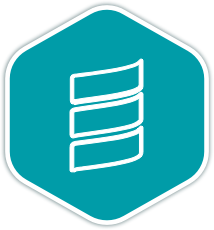 Once you join the Scala language track, you will receive support and feedback from our team of mentors. Here are the bios of a few of the mentors of this track. Scala is a great solution for pure functional programming in today's industry. I am an experienced developer and research scientist that is passionate about Sciences and Technologies. I love working with teams that want to create the 'possible' out of the 'improbable' while leveraging my creative mind and prototyping/research skills. Simply, I love exploring where no-one has ever been before. I learned to program on embedded devices, and later moved to iOS development in Objective-C and Swift. Most recently, I've been exploring functional programming in Scala. I'm interested in security principles and applied cryptography. And if I can ever find some spare free time, I would love to try out Rust! Software Engineer and IT Consultant. Scala Enthusiast. Lover Of Pure Functional Programming. This mentor has not added their bio yet. These are a few of the 90 exercises on the Scala track. You can see all the exercises here. The Scala Maintainers are the brains behind the Scala Track. They spend their spare time creating interesting and challenging exercises that we can all learn from. We are incredibly grateful for their hard work. Here are the bios of a few of the maintainers of this track. This maintainer has not added their bio yet. Get started with the Scala track. As with everything on Exercism, it's 100% free! Made with and by Katrina Owen, Thalamus and 1,788 wonderful volunteers.